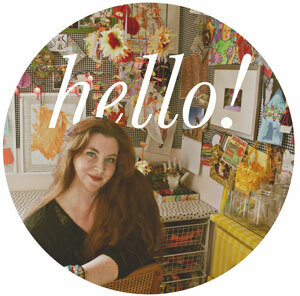 After my confetti mirror post earlier this week, a couple of people emailed me to ask about making homemade confetti. I had assumed, wrongly, that everyone was well practiced in the time-loved art of shredding tissue paper. I did it a lot as a kid. In part because there were a lot of confetti occasions, and in part because my parents asked me to make it when they needed to keep me busy. Note: next time you need to a few hours to prepare for a birthday party and your kid won’t leave you alone — set them in the corner and tell them to make confetti. BOOM, right there, you have three hours minimum. 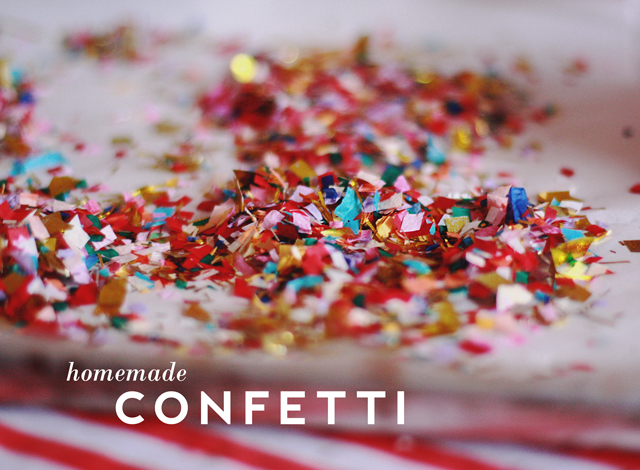 As an adult, it takes a lot less time to make confetti. Ten minutes? Maybe less. I’m a lot handier with scissors. 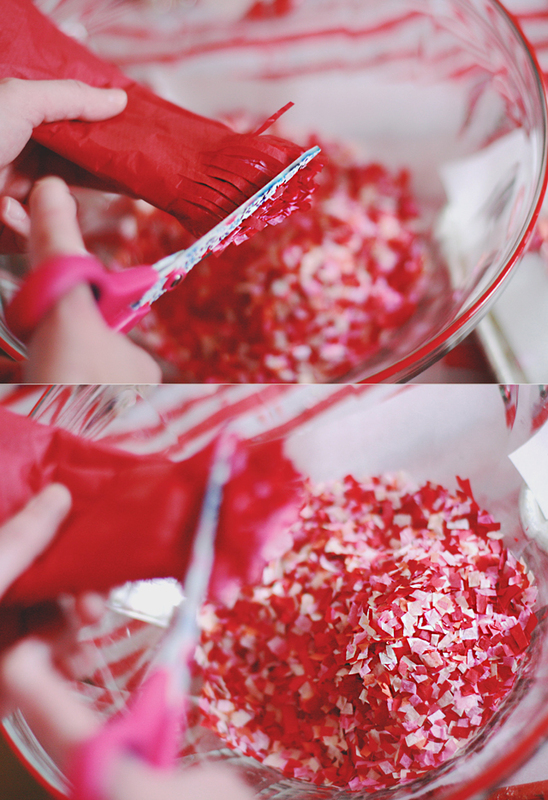 All you have to do is fold up some tissue paper, cut then 2″ fringes along the edge, then slice across. Sort of like dicing an onion. The smaller the slices, the smaller the pieces. The smaller the pieces, the longer you will find them in your carpet. Consider yourself forewarned. It’s pretty easy. Like, really easy. Let’s take a sec to talk about scissors. In short, you need good ones. Sharp. They need not be funky flower print scissors like mine (I know, awesome much? A holiday gift from Aunt Annie), but they need to be very sharp. Otherwise this will take forever. Adding sparkle to confetti is hard because most sparkly stuff (like glitter) weighs much more than tissue paper, and so it settles to the bottom. 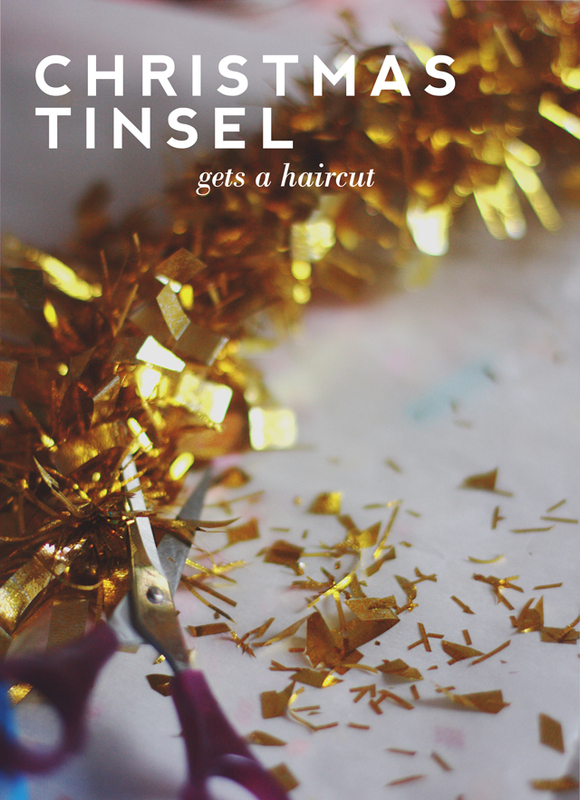 I get around this by trimming the tips off tinsel garland, which is much lighter and fluffier. 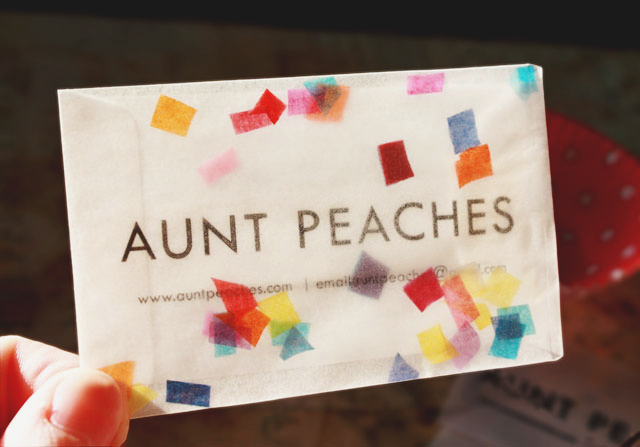 Who needs confetti business cards? Yeah you do. I am really getting old. I wouldn’t have figured out the making fringe part. Do Not use your sewing scissors! I hide mine so no one will use them and I usually forget where they are. Oh no, I know better than to use sewing scissors on paper! The real question is will the confetti business cards assure my acceptance to grad school? You just saved me a 20 mile round trip to the party store and a nominal amount of money. Plus, I can let my preschooler “help make confetti”. Thanks!! This helped me so much!!! Thank you!